Shopping for an RV can be a mind-boggling process, especially if you’ve never purchased one before. The first choice you need to make is which type of RV will be perfect for you. This guide will help you decide if a motorhome, travel trailer, fifth wheel or pop-up camper will be the ideal fit. A pop-up camper isn’t for travelers who spend a ton of time on the road, but it’s perfect for first-time RV enthusiasts who are tired of sleeping on the ground. Pop-up campers are great for weekend or week-long camping excursions, but if you plan on stopping at multiple campsites, you may get tired of setting up your camper at each stop. Travel trailers and fifth wheels are the next step up from pop-up campers. They’re capable of keeping you comfortable on long-haul journeys but also function well for short excursions. They have to be hitched to the back of a tow vehicle, which means in addition to your travel trailer or fifth wheel purchase, you’ll have to have a heavy duty truck to do your towing. Travel trailers tend to be less expensive than fifth wheels, but fifth wheels offer a more ideal towing experience. They’re both great for long adventures, allowing you to stay in one place comfortably for a long time, while using your towing vehicle to get around town. Many full-time RV enthusiasts choose motorhomes. Motorhomes come in Class A, Class B and Class C varieties, so you can choose the type that fits your needs and driving capabilities. Motorhomes allow non-drivers to enjoy other activities while you’re behind the wheel, including bathroom breaks. Travelers who travel between destinations often enjoy the perks of having their home on wheels assembled and ready to travel at all times. 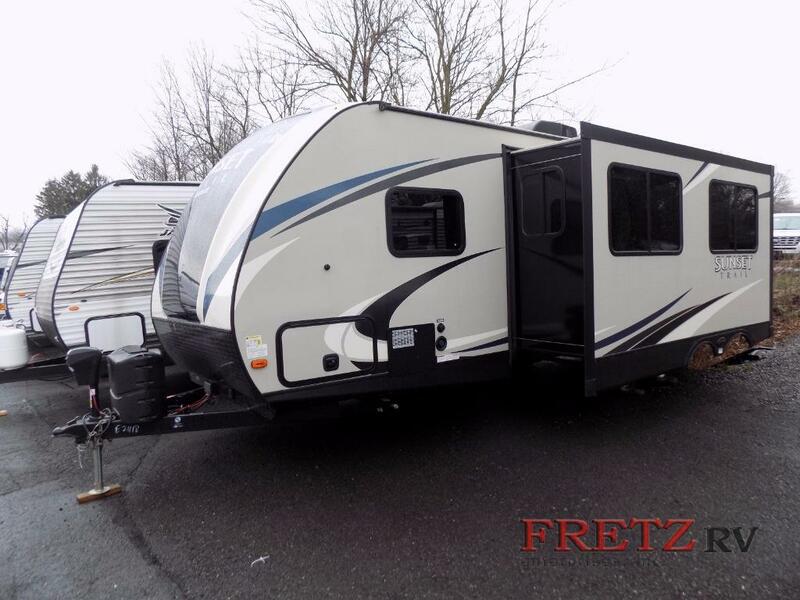 We offer the best selection of motorhomes, travel trailers, fifth wheels and pop ups right here at Fretz RV in Souderton, Pa. Log online or stop in and see us to browse our variety of in-stock RVs today.